“What Do YOU Think?” is an ongoing dialogue between Harvard Business School professor Jim Heskett and the readers of HBS Working Knowledge. Each month, Professor Heskett offers his thoughts on specific events and activities in the world of business and their impact on the way managers manage. “What Do YOU Think” invites readers to respond, and selections from these responses are made available online. In February 2009, Professor Heskett asks “Why can’t we figure out how to select leaders?” In stead of summarizing it here, I encourage you to visit the entire post as well as the 88 comments (now closed) for an interesting examination on the topic of leadership. 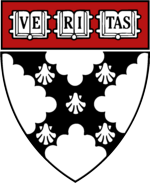 Tagged with Harvard Business School, Working Knowledge.